1. Optimus Maximus - When I first saw this toy, I thought it was ridiculous/absurd. Then I found it at discount, bought it, gave it to my wife to make sure she got it for me. 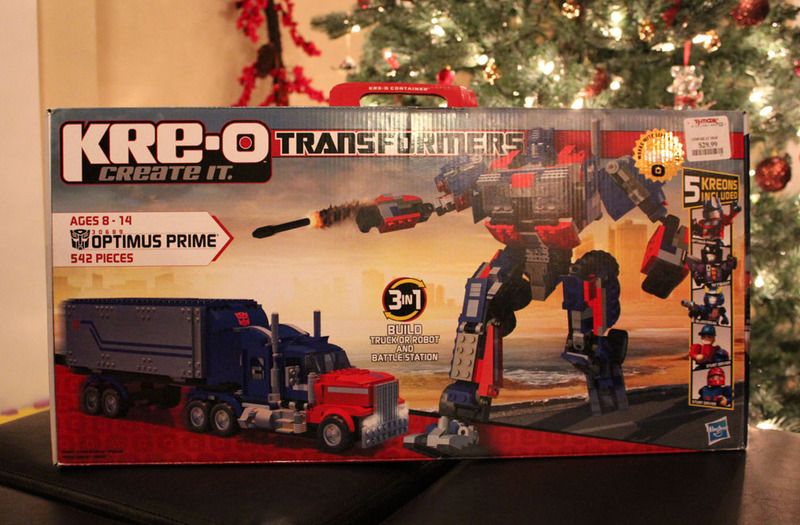 With the purchase of the Masterpiece Optimus Prime earlier this month, I realized it was time to unnecessarily build a larger ridiculous Optimus Prime shrine. 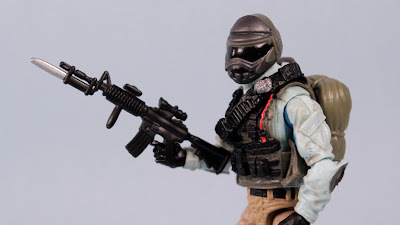 A toy like this will really stand out. 2. Which led to this discounted Kre-O Optimus Prime that I also bought, gave to my wife to give to me. 3. 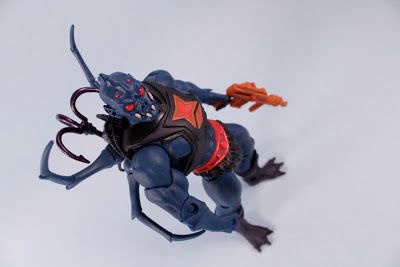 Beast Wars Rattrap. I saw this guy at Timezone toys reseller on my last visit, shot a picture, and had my wife go find this one to give to me (I had to make her do something). 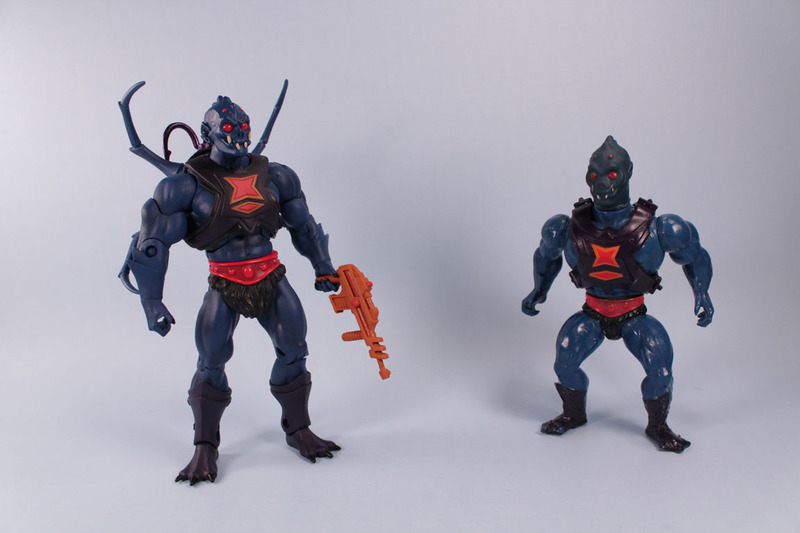 Finally, I think, I have all the first run Maximals from the first part of season 1. 4. 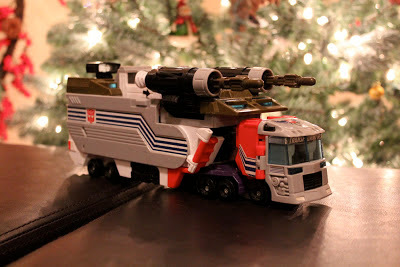 Machine Wars Optimus Prime. Also found at reseller by my wife, I wanted a Prime that was in less than terrific condition for a future project. 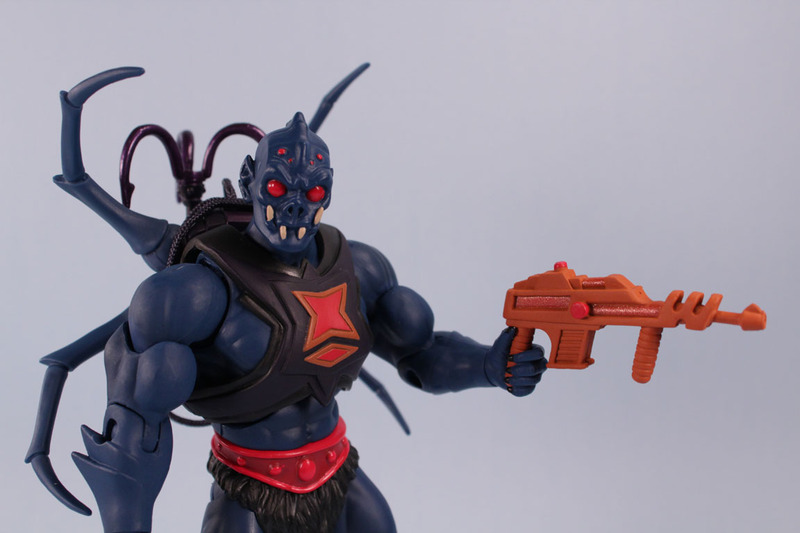 I remember passing on this toy several times in the late 90's at KB Toys, and now look at it as it is the most prettiest thing ever. 4. Lego Star Wars Desert Skiff. 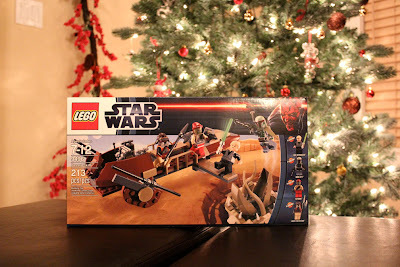 Such a cool Lego set from my Sister. I have always wanted to build a Sarlacc, and maybe it will even appear in a future minifigures battles stop motion. 6. The complete Original Classic Mighty Morphin Power Rangers Series! Thats right, the grand daddy present of them all, from my wife. 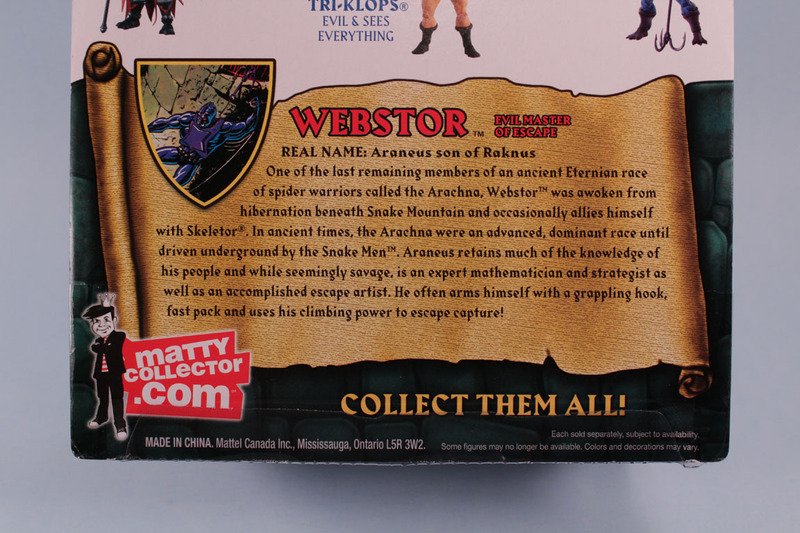 This is amazing, like totally 19 discs of Ranger adventures. So many memories packed in, I will be watching pretty much all year with all that content. So yeah, an amazing run of stuff this year. Also got some normal things like a sweater, coffee mug, homemade tasty Hot Coco, and a weed whacker. Great gifts, just not for this blog audience. Oh, I should also show stuff my baby girl got, cause lets face it, I will be playing with it too. Finally Power Rangers is moving out of Samurai and into Megaforce, so excited for a new change! I really dig the "Fancy" new Ranger suits! Something about gold trim and white pants. 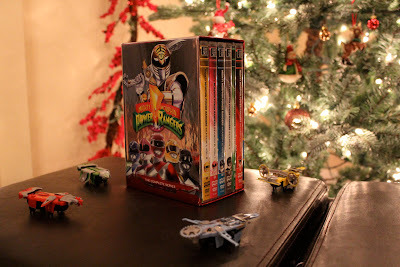 I have also been watching a ton of old Morphin Episodes of late, thanks to my wife's Christmas gift of that huge Power Rangers boxed set. I think only 135 episodes left to watch. I tell you that old show still rocks. Fast paced, great music, such a classic! I love how confusing I have made this. Epic Battles 7 features most figures from Series 8. Partly because, I never featured Series 1, and partly because I added Heroes, and partly because I am confused now. Enjoy. Merry Christmas, you will have! And have we did so far, here at the Toy Museum! As always crazy busy few days, with a finale blowout tonight at the in-laws. A larger than usual toy avalanche has befallen me, and I will show some off soon. 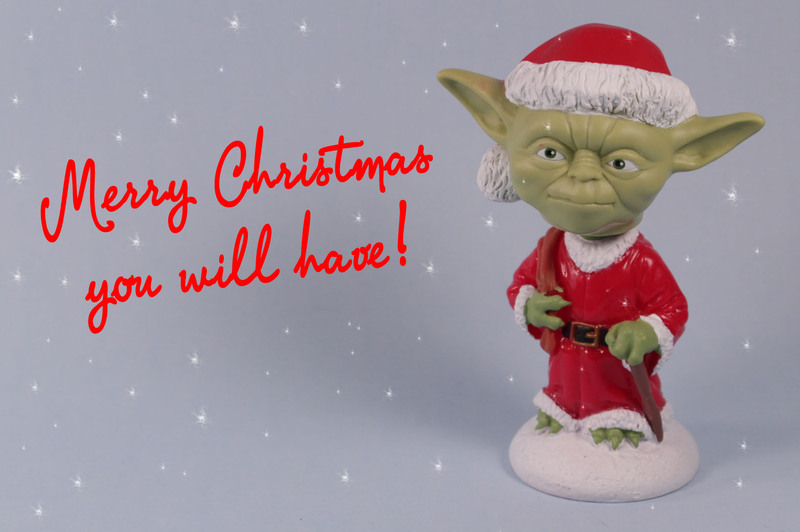 A big thanks to my Secret Dork Horde Santa, who found this awesome festive Yoda bobble head for the Museum. This will be displayed every Christmas from now on! Also included are this years geek collectively agreed on best toy; SLUG Zombies. A holiday edition and Series 4 assortment! 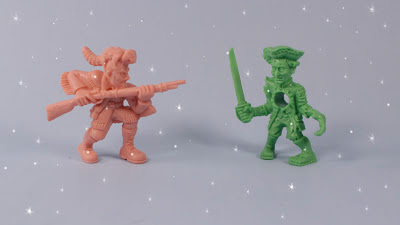 I really like the Revolutionary War zombie stuff, lol! Hope you all have a Merry Christmas and lots of fun toys to play with! 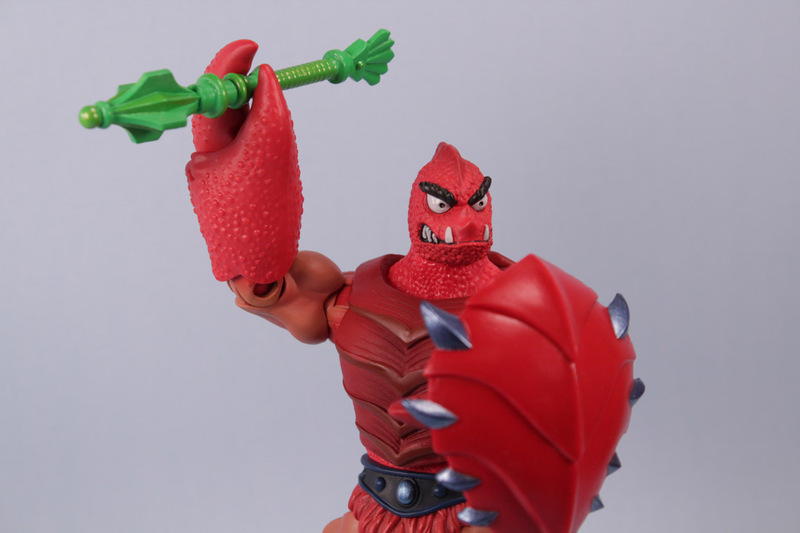 Good lord, how many Happy Meal toys do I need to horde out with? Lucky that we are nearing years end, and I can do a full review of me swimming in them. 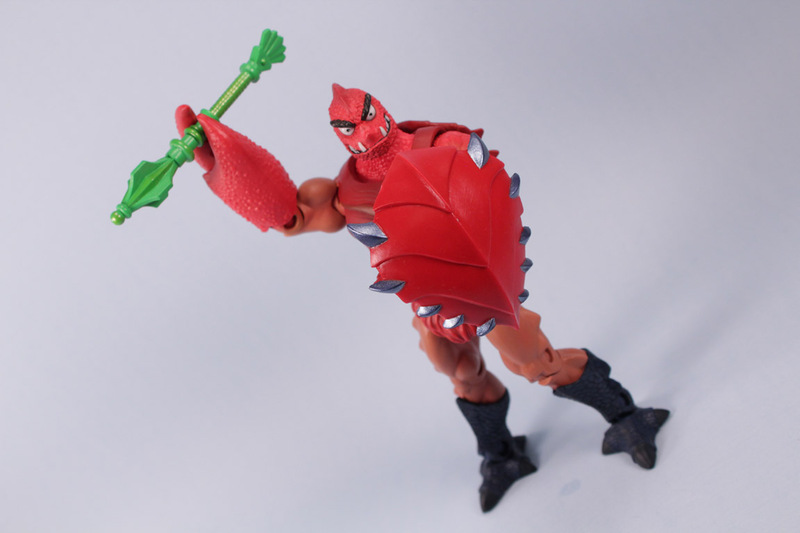 I could not miss out on these new Turtles and am pretty amused with them as a whole. Not sure I would want them all, if I wasn't trying to swim in Happy Meal toys. The full group of these were too much to resist. Super colorful, super big eyes, super cute, Moshi Monsters from Happy Meals gives me a chance to revisit a neat mini toy. And don't forget to hit up the last 15 seconds for a special eye popping guest star! 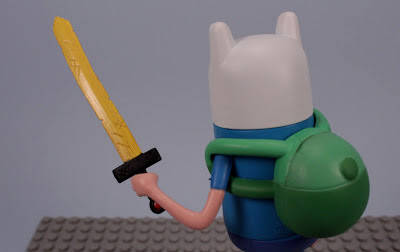 Adventure Time with Finn & Jake is the greatest show of all time. It fits my silly persona perfectly. 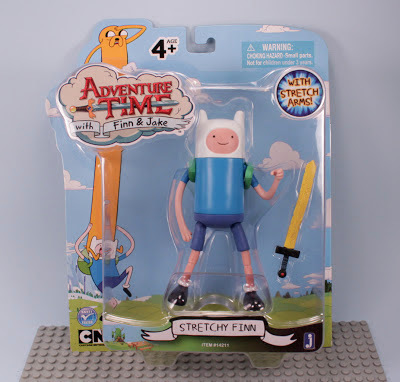 I had Stretchy Finn on my short list forever, but I thought I was going to have to "online it", but I found one today at our local Hastings shop. They captured his look perfectly! Not that a character of such simplicity would be that hard to capture. His function is pretty bad though. 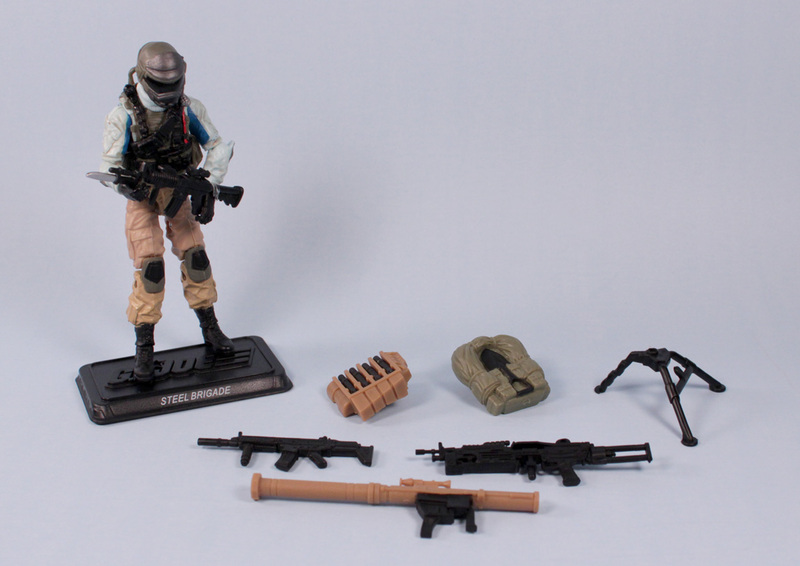 I had a feeling he wan't going to be a very solid figure. Made by Cartoon Network or "J" toys or whatever, he is not constructed that great, almost feels like a custom toy. His stretchy arms are fun to play with, but his crappy jointed legs make him difficult to stand. A display stand would have been helpful. He is kind of fun to play with in hands though, as you can manipulate his stretch arms to look kind of life like. The backpack is too heavy, and unbalances the figure. It might be removable, but I worry it might break. He has somewhat smooth neck and waist 360 rotation. 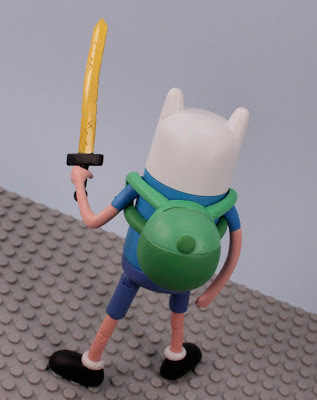 The sword accessory is the bonus to the figure. 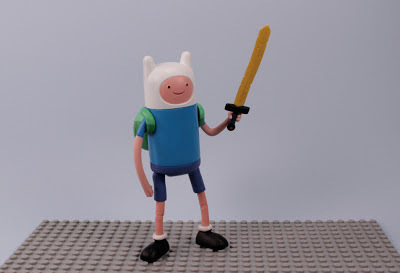 I would say if you love the show as much as i do, get the Finn! 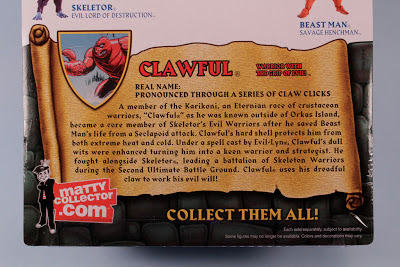 Any character with the name Clawful wins in my Museum. 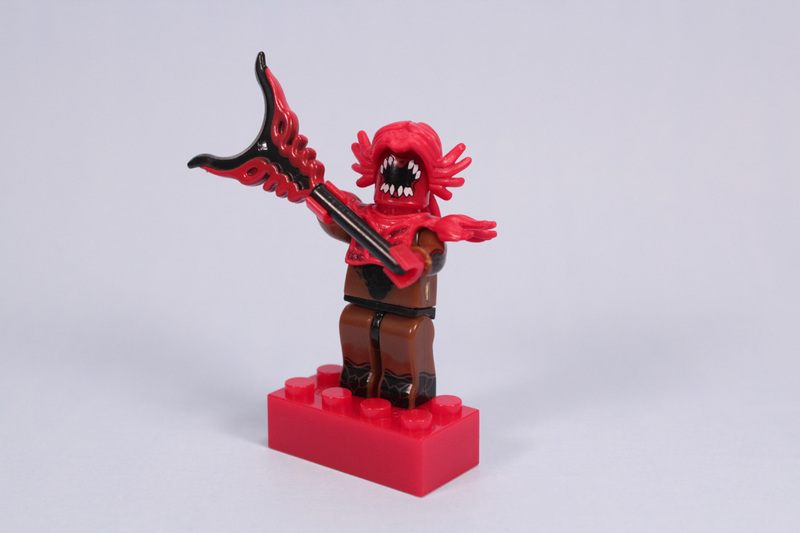 He is a vibrant red lobster man, who I hope we never get to taste. I did not get to Clawful in the 200x Masters line, as he was a solid statue, so it is nice to have a articulated figure. He was a bigger dude in the last show, so maybe he can function with that line. I just saw an original Clawful episode on our Retro TV station a couple weeks ago. Its funny, as his head is more dinosaur like than crustacean. He also got owned by He-Man, tossed out a cave ceiling, flew for miles, back to Skeletor on Snake Mountain. 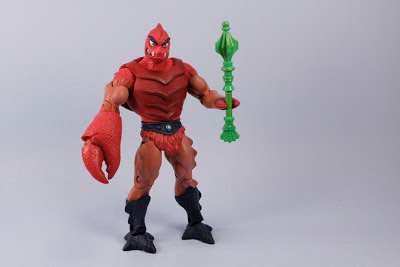 Its a good thing to know that the Karikoni crustacean warriors also wore fur loin cloths with solid belts. Clawful's claw has a little spring in it for grabbing stuff, like his green staff. And thats another Masters figure. 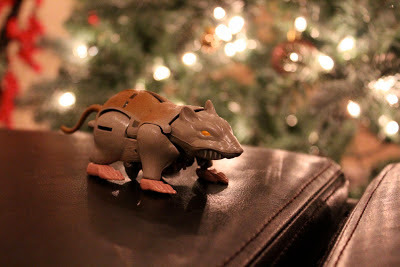 I just like these little Monsuno critters. There was a nice buy one get one sale, so I picked up four for some more inspection fun. Skysite is pretty neat if you are looking to buy your first. I would have gladly paid full price for a Webstor on his first go around, had I remembered to mark my calendar. He is one of the best for Skeletor's henchman and independent antics. I am not sure why they made him armor-less in the package, maybe to make it look like he comes with more stuff? Good thing they left his under-fur on! My first Webstor still lives, although extremely sticky now. I should really pack him in something else, besides a plastic tub. You can see here how dedicated these classics are to the originals. 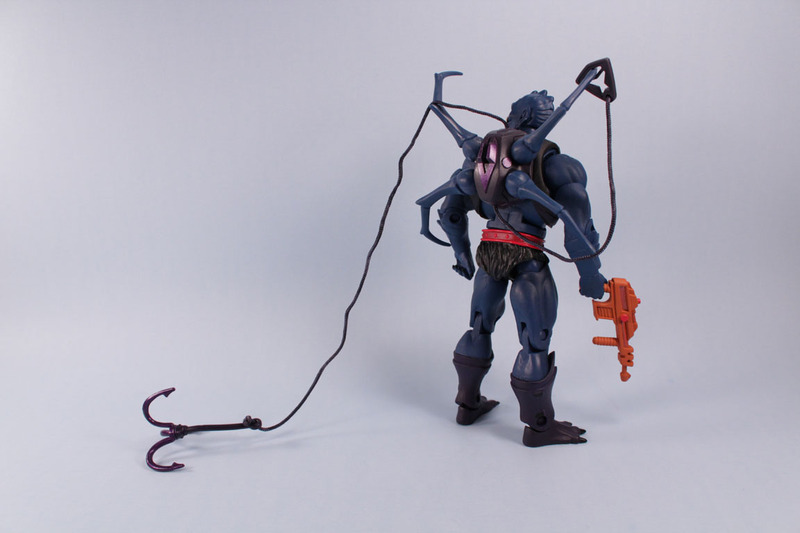 The story I would tell about the original was his complicated grapple/rigging backpack. Either I was too rough with it as a kid, or it was poorly made, my Dad had to re-string it several times. It eventually broke for good, and I just tore it off his back. 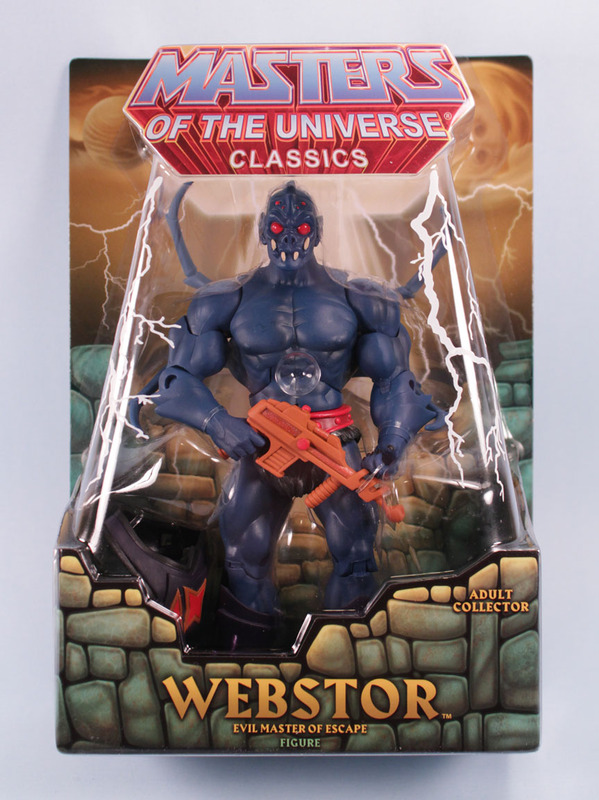 The new Classics Webstor also has a grapple with rope, but it is not as complicated. His added backpack legs can help hold rope too. I just can't stop looking at this spider dude. 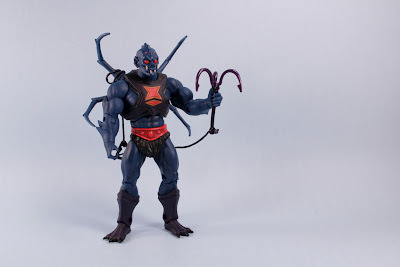 What a terrific figure! 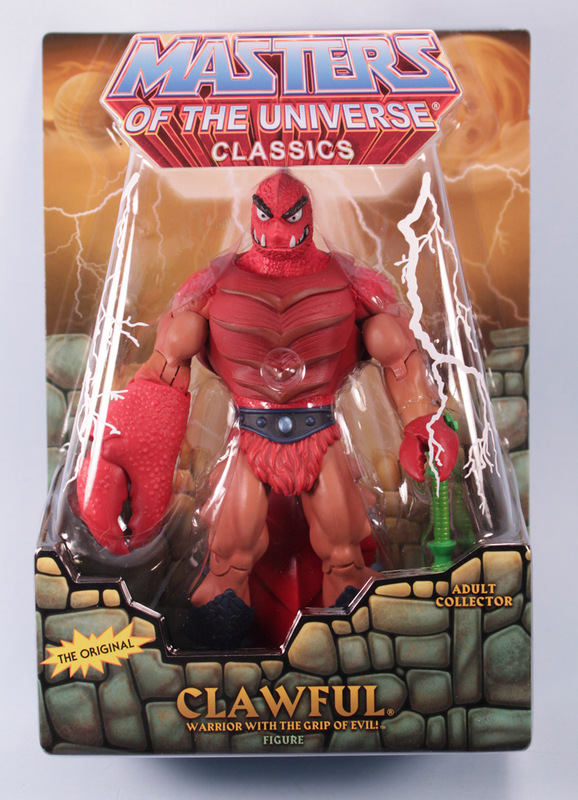 Once I found out that the Classics Castle Greyskull that I pre-ordered was a go, I sort of freaked out that I didn't have much of the Classics figures to go with it. I have avoided the line for many reasons; cost, difficulty, and preferred 200x lines. However, there are several figures of late that were never made for 200x, and would make for some great fun. Then Matty Collector had that insane Black Friday/ Cyber Monday sale, that had me hoarding up many, many figures, for a great deal. Heck even shipping was reduced. 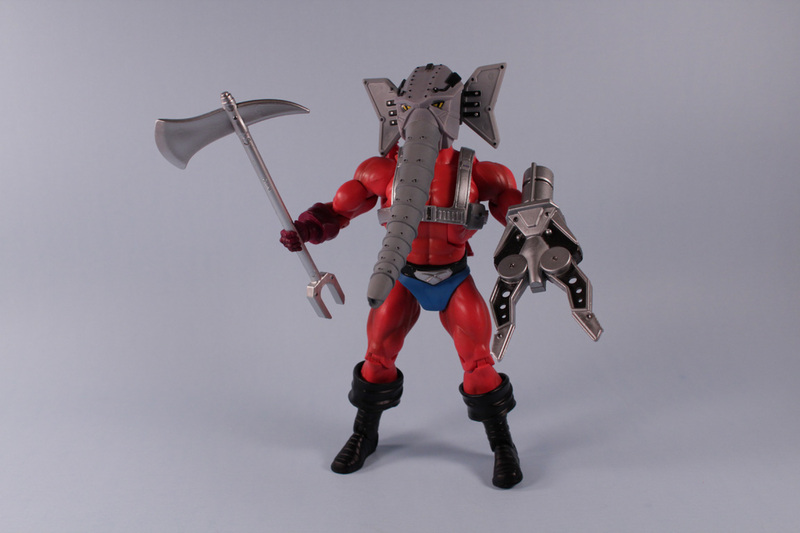 I think its safe to say I have enough figures for He-Man to fight off now. 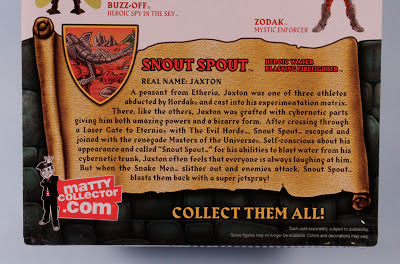 Snout Spout was a character from years ago, that I almost forgot about. 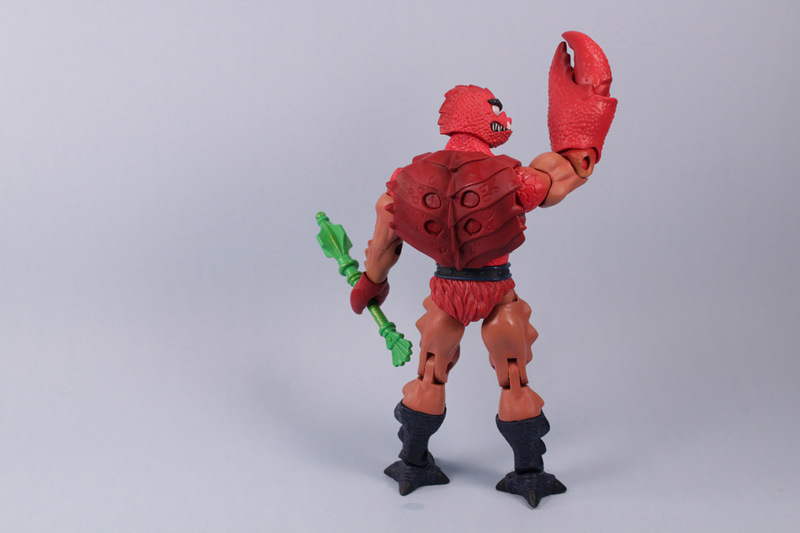 He was not apart of the He-man cartoon, as it was finished by his time. I guess he made it to the She-Ra cartoon, and I am pretty sure I have seen them all, but just can't recall it yet. Where ever he is from, he is total Masters of the Universe material, with his standard funky color body, blue underpants, and elephant head gimmick. I guess he is the resident firefighter; stores water in backpack, and has some life saving weapons. 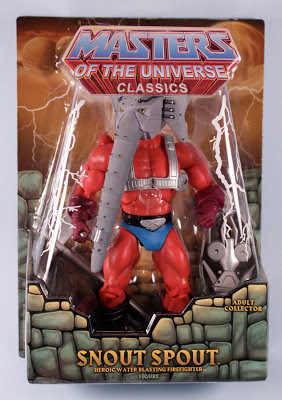 He is really a fantastic Classics figure. 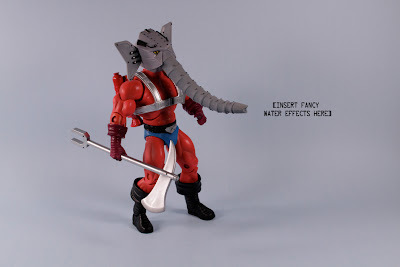 Very vibrant in an elephanty goof ball way. 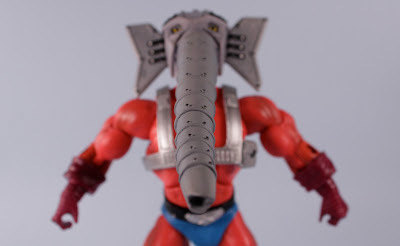 His trunk looks to be made of a softer plastic that can be moved slightly for some good shots. The trunk does show some wrinkles when bent too much. It will be interesting to see the long term effects of that plastic. If I had any thing to say bad, it would be how his backpack fits to the body harness. No main peg that fits directly into back (which makes for a nice clean back), but four spots of attachment. If you don't fit it in right, it can fall of easily, but this is really nit-picky. I am so glad to get this guy, as he is so weird. I hope to show some more of the assortment I ordered on video, as there are many stories to tell. HexBug Habitat Set or a Masterpiece Optimus Prime? What a strange day. I spent most of the week indoors, so I thought I would take some extra effort and go over to Toys R Us. It was a mad house, and its only the last day of November! I didn't have much in mind, only something worth my time on a rainy day afternoon. 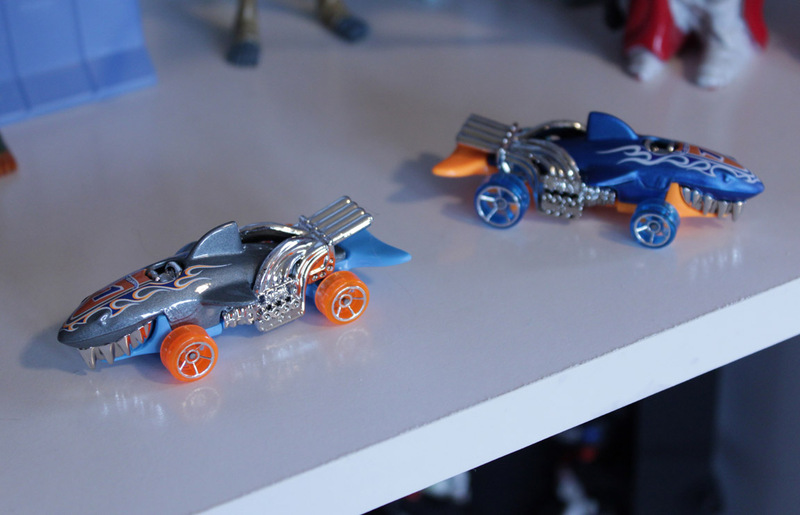 The HexBug stuff was on sale, and after I amused guests last weekend with a small set, I thought I should upgrade to something larger. 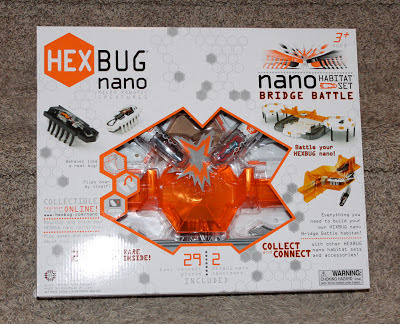 The Nano Bridge Battle Habitat Set looked like promising fun, and it was ten dollars off! After an annoying drive home full of heavy traffic, I tore into the set for some fun. Basically you raise and connect the standard white Hex platforms with this long orange bridge. The bugs are to follow the bridge, then fight in the middle, and the looser falls to the lower level. I was looking forward to some sort of silly video capture, but things didn't go that way. The first bummer was the fact that the bugs don't have a path to climb back to the second level. I didn't look at the box that hard at the store, so that was my bad. It wasn't a big deal, you just manually place bugs up on top. Then came the second, BIG, BUMMER. Complete design fail! Its hard to explain, but the white Hex platforms included, would not fit the stands that raise it off the table. My original white HexBug Platform would actually work with the stands, as it has the appropriate side locks. 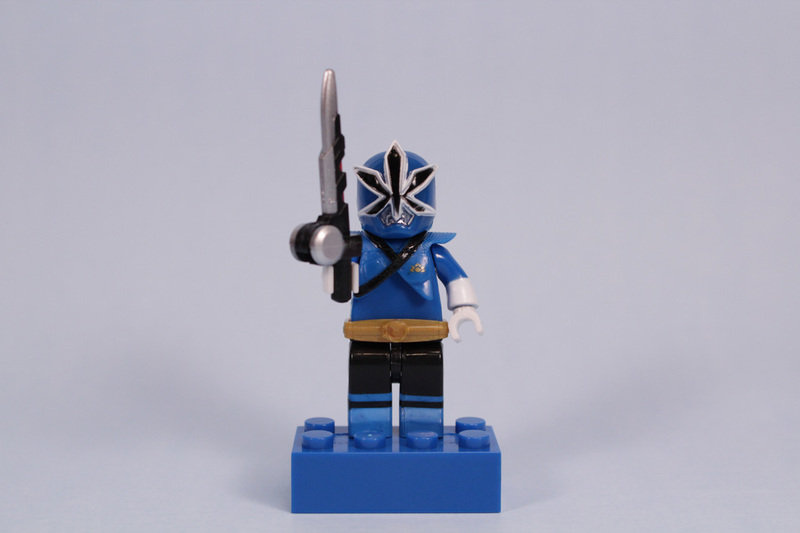 What ever they threw in with this set, were completely useless, and it would be impossible to make a second level. So my afternoon trip was wasted, and I had to make plans for returning it. UPDATE! 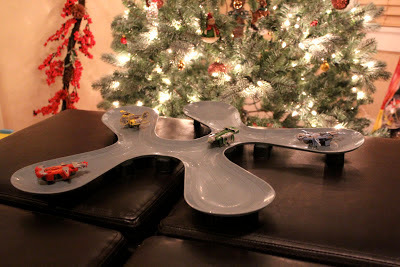 - It turns out that there was a mistake in the type of risers that were included in the HexBug set! The white platforms were modified with holes, so that new round risers would fit. 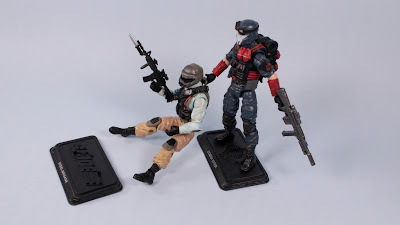 The set I purchased had only flat risers, so I was stuck. Stay tuned for a return to the Bridge Battle! I wasn't planning on going tonight, but now my wife had cabin fever, so it was an excuse to do something. The store was packed again. I went to the desk to return and or exchange. I wanted to see if the other sets had the same flaw, which they did, so I X'ed out that. 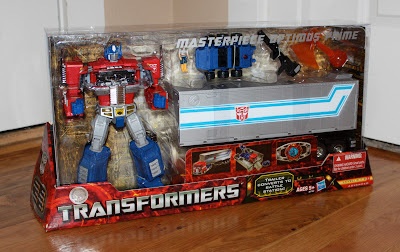 I almost picked up the HexBug Zip Line, and then I saw two Masterpiece Optimus Primes just sitting in a cart full of store junk in one of the center aisles! Holy Crap!!! There is another long winded story of me weeks ago, going early Thursday morning to pick one up with a friend, only to have them sold to someone who was an earlier bird. My friend obtained one from Montana or somewhere, but I passed due to its complications. 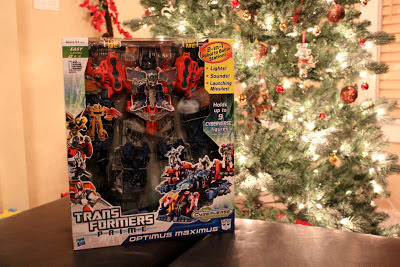 After I 'inspected' my friends Optimus, I started to really want one. I almost went to Ebay, but held off just in case of, well what happened today. 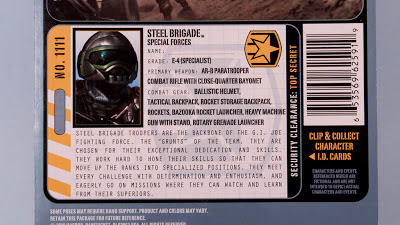 OH, so the guy is a trooper like guy? 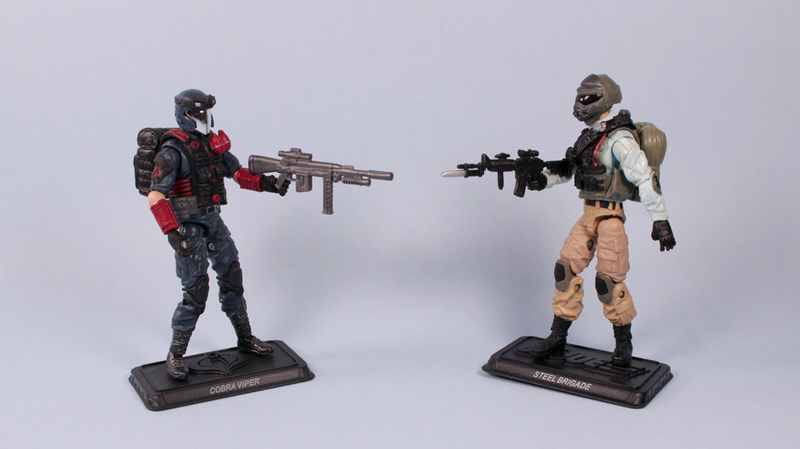 Like the Vipers are to Cobra. If I knew that earlier, I would have bought more to troop build. 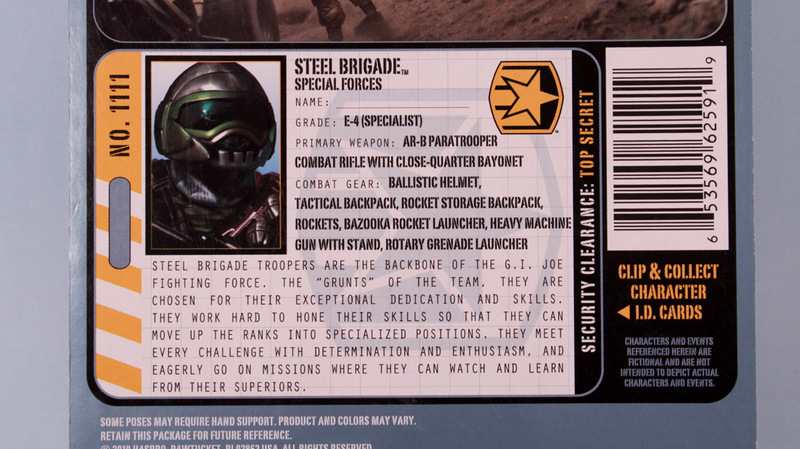 On the other hand, maybe G.I. 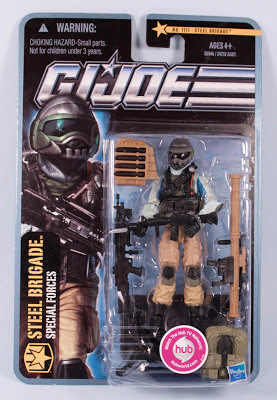 Joe shouldn't have troops and be left at individual specialized abilities (There is a long debate there) Regardless it would be fun to a have more of these (oh wait, I think I have one more in stock overflow). This figure line has pretty much run its course out of stores by now. I still see a few at Toys R Us, and I got this from a small grocer in town, who is behind. It was funny because even the old lady at the register knew these were rare. She asked me if I was going to sell it on Amazon for $100 bucks. SO many weapons to choose! I was surprised, but shouldn't be, that there was a masked face under the helmet. I thought the helmet was it. Never underestimate this line. 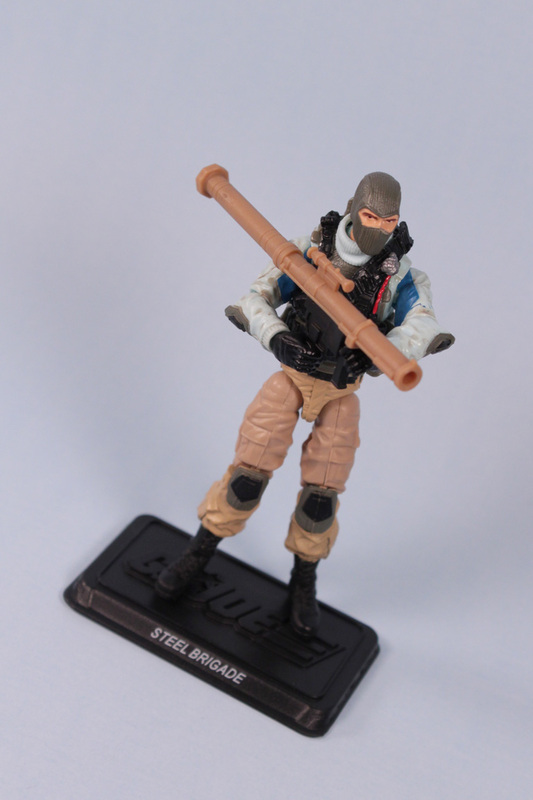 There are little grenades to even fit into the launcher, however they might fit in too far, and get stuck? I did not want to try. So yeah, now I have a common adversary for the Viper to fight. Top bad for Steel Brigade guy that he has a handle on his back for the Viper to grab. McDonalds is at it again with their funky looking Happy Meal movie toys for Rise of the Guardians. A couple of these function really well; Bunny and the Elf. 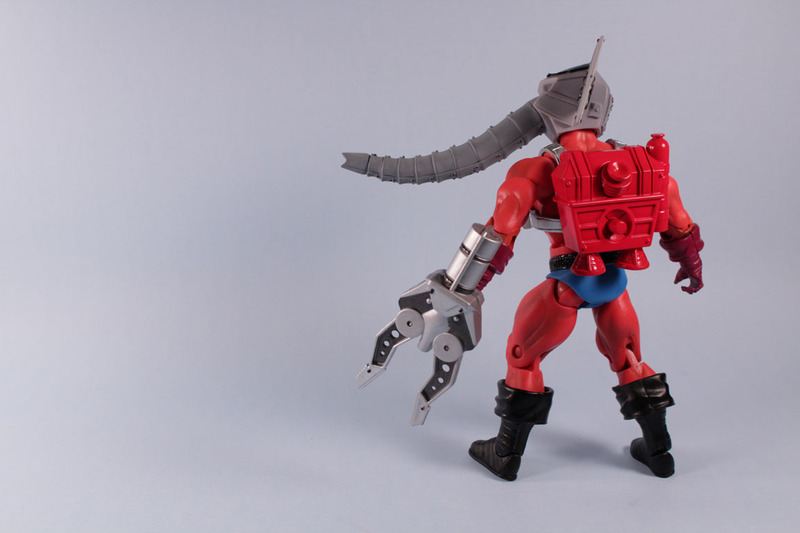 Bunny has a killer back boom-a-rang attack, that is not used enough in toys these days (Kamakura did it once). Elf just has some nice face flipping, that works with pretty good ease. Fun set! On the way to Thanksgiving dinner at Grandma's house, we stopped to pick up some food transfer containers. 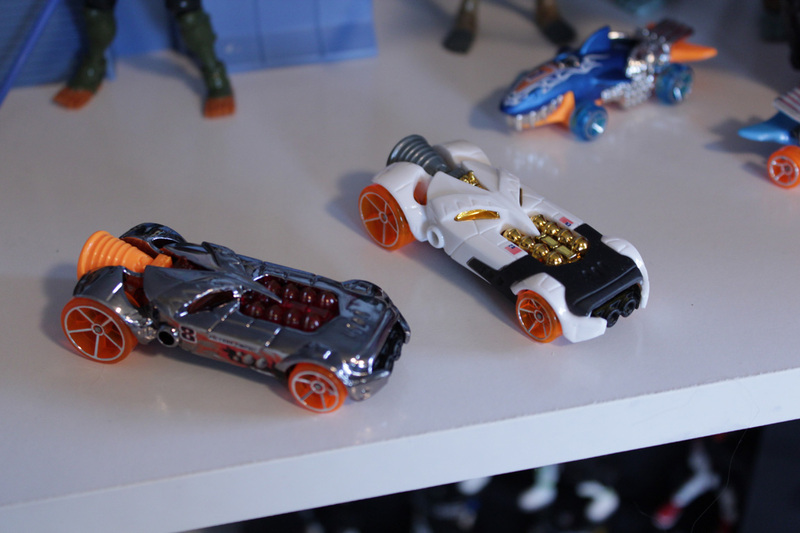 Being away from my Toy Museum is hard, so I picked up a couple Hot Wheels to tide me over. I found this Sharkruiser, or Shark Cruiser, color variant more pretty than my last Sharkruiser. My only problem is I wish they would change the number on the hood. Such a pretty little shark mobile. 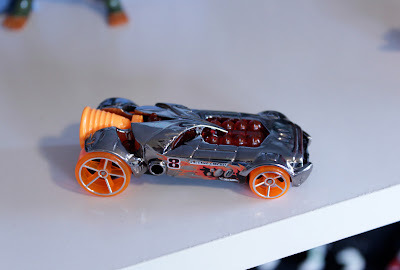 I really like this one, its not the first Hot Wheel that makes you poor, its the 100 color variants that get you in. 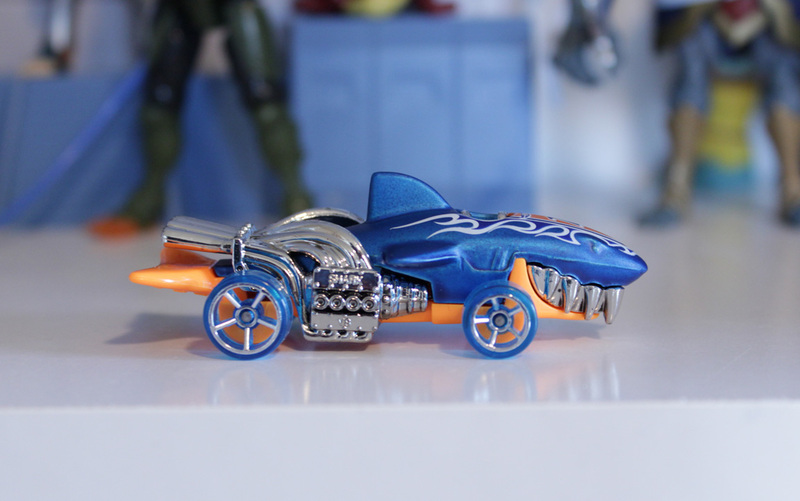 I also finally caved on the chrome Rocket Fire. 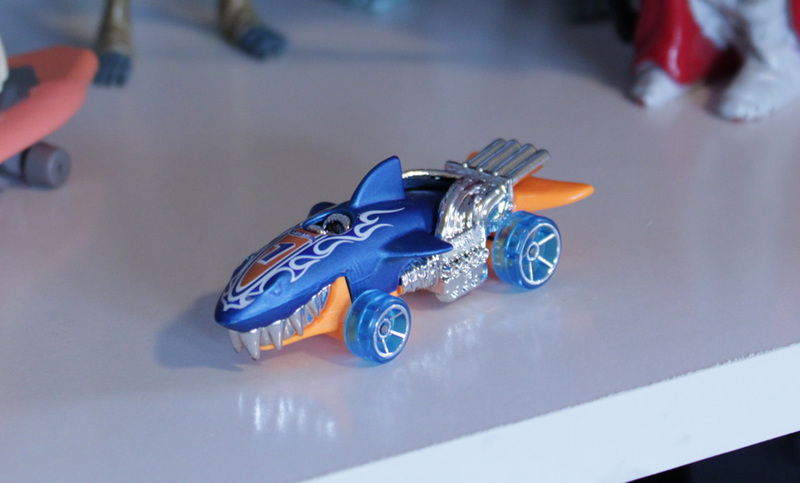 This car is a top favorite, and I really like the shiny! The downside is, it will be destroyed eventually, as that thin chrome stuff never lasts. Once I found out that Bulk was in Series 2, I had to pick up a few bags. 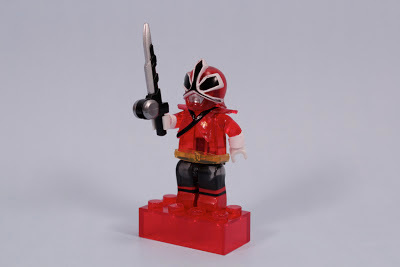 Is it me or do Power Rangers look really cool in Mega Blok form. 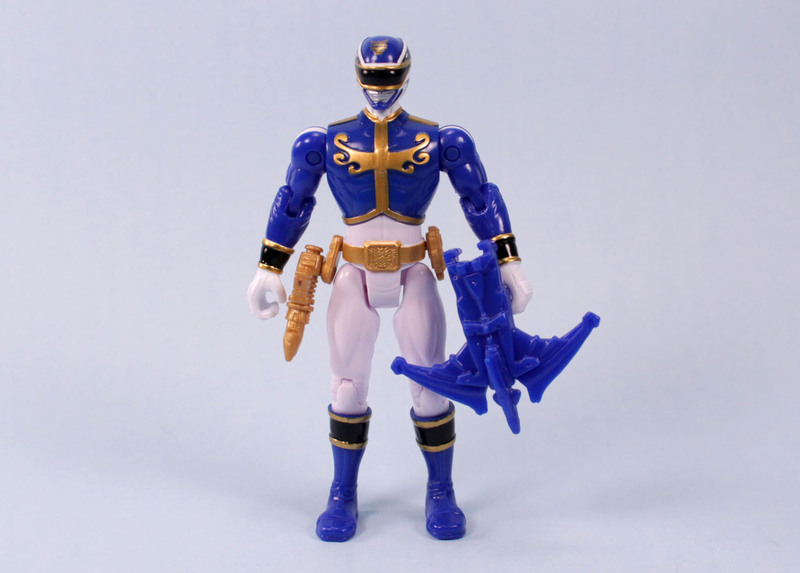 I have to find that Translucent Blue Ranger now.